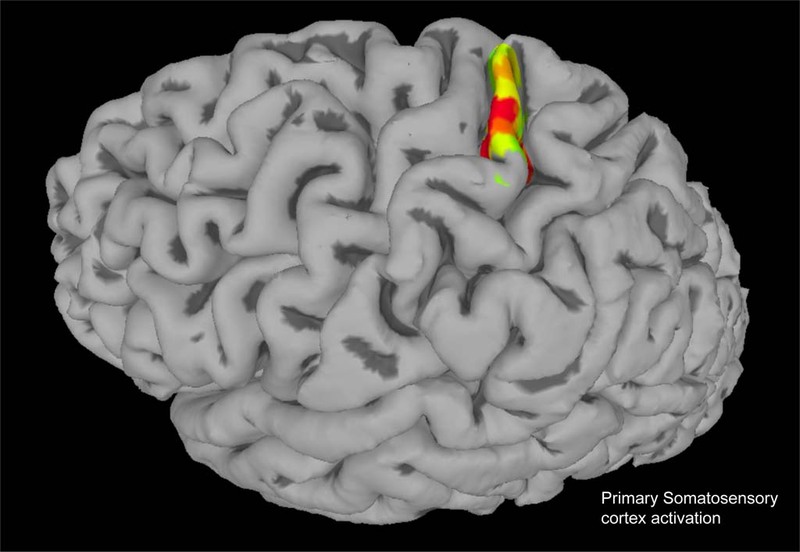 Using a tiny array of electrodes implanted in the brain’s somatosensory cortex, Caltech scientists have induced sensations of touch and movement in the arm of a paralyzed man. [dropcap style=”font-size: 60px; color: #9b9b9b;”]F[/dropcap]or the first time, scientists at Caltech have induced natural sensations in the arm of a paralyzed man by stimulating a certain region of the brain with a tiny array of electrodes. The patient has a high-level spinal cord lesion and, besides not being able to move his limbs, also cannot feel them. The work could one day allow paralyzed people using prosthetic limbs to feel physical feedback from sensors placed on these devices.